World Compassion Day is based on the concept of ahimsa. It means non-violence, non-injury or absence of desire to harm any life forms. Ahimsa originated in Jainism, an Indian religion. It is an important principle in several more religions such as Buddhism, Sikhism, and Hinduism. Mahatma Gandhi's philosophy of non-violence was profoundly influenced by ahimsa. 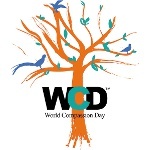 No wonder World Compassion Say (WCD) originated in India. The first WCD was held in Mumbai. It was dedicated to animal welfare, the need to compassion towards all living things on the planet, and the growing importance of vegetarianism. The event was attended by the 14th Dalai Lama, additional speakers included celebrities and activists from both India and abroad. On World Compassion Day, global icons have an opportunity to share their principles, values and ideologies on how to make the ideals of compassion relevant to our times and inspire social and political change across the world.